Clint Brown joined Esri in 1983. Since then, Clint has been responsible for managing all Esri product releases in use today in hundreds of thousands of organizations worldwide. Clint manages a division of hundreds of GIS analysts, app programmers, writers, and test analysts. Over the past three decades Clint has done hundreds of presentations on GIS implementation and concepts at numerous conferences and meetings worldwide. He has written extensively about GIS, contributing to several books, white papers, and presentations on GIS. Clint is particularly passionate about defining and capturing GIS methods, best practices, and key concepts. Most recently, the explosion of Web GIS has enabled profound new opportunities for how GIS can be applied more broadly across organizations and communities. GIS is attractive to most people who encounter it because it is both intuitive and cognitive. It combines powerful mapping and visualization with a strong data integration, analysis, and modeling framework that is rooted in the science of geography. Maps and data provide the underpinnings of GIS. In turn, GIS organizes information into all types of layers that can be visualized, analyzed, and combined to help us understand everything. Seeing things on a map helps us make better decisions. GIS is a tool for integration and understanding and will be a critically important tool for the Sustainable Development Goals (SGDs). Maps and geography are a fundamental language for understanding. They provide a framework for organizing and communicating our knowledge. Increasingly maps are used in every field, providing a universal language for communicating ideas and insights. People are visual learners and seem to be instinctively attracted to maps. Maps help humans instantly perceive patterns, relationships, and situations. They not only organize and present the rich content of our world, but they also offer a unique contextual framework for understanding, predicting, and designing the future. GIS has a unique capability to integrate many kinds of data. It uses spatial location and digital map overlays to organize the content of our world. These overlays can be used to integrate and analyze relationships between all types of data. This combination has resulted in a powerful analytic technology that is science-based, trusted, and easily communicated using maps and other forms of geographic visualization. With its super-powers for integrating information layers across all disciplines, the GIS community is waking up the world to the power of geography—the science of integration—and a whole new framework for creating a better future. The global geospatial community is beginning to come together in numerous collaborative efforts to address all human challenges. This exciting and remarkable transformation has been made possible by the development and release of Web GIS. In 2015, the world body of the United Nations achieved a major milestone by establishing the 2030 Agenda for Sustainable Development. All nations have agreed upon 17 goals, each with dozens of indicators for reporting and evaluating progress on each goal. Each nation is committing to generating data, maps, and analytic reports on each goal. GIS computing has grown significantly in the past decade and has changed radically, growing far beyond desktop computing with enterprise and server implementations. The GIS and Geospatial communities are entering a new era where GIS is coming to life and connecting all of our individual GIS’s on the web. The resulting Web GIS is becoming more social and community-oriented. And this is transforming how GIS practitioners are moving their organizations’ work beyond individual systems and are coalescing around various collaborative initiatives and community goals. Since the early days in GIS, people realized that to be successful, they would need data from other sources beyond their immediate teams and work groups. Early on, GIS users quickly recognized the need for data sharing. Open GIS and data sharing gained traction quite rapidly, and continues to be a critical aspect of GIS implementation today. With cloud computing and the mobile/app revolution, the GIS community is expanding rapidly to include almost everyone on the planet. The data in every GIS is being brought together virtually resulting in a comprehensive, virtual GIS for the planet. Geography and maps enable all kinds of conversations and working relationships both inside and outside of all of our organizations. This notion that nearly everyone can take GIS with them everywhere they go on their tablets and smartphones has opened up GIS adoption and use to a whole range of social initiatives and community projects. 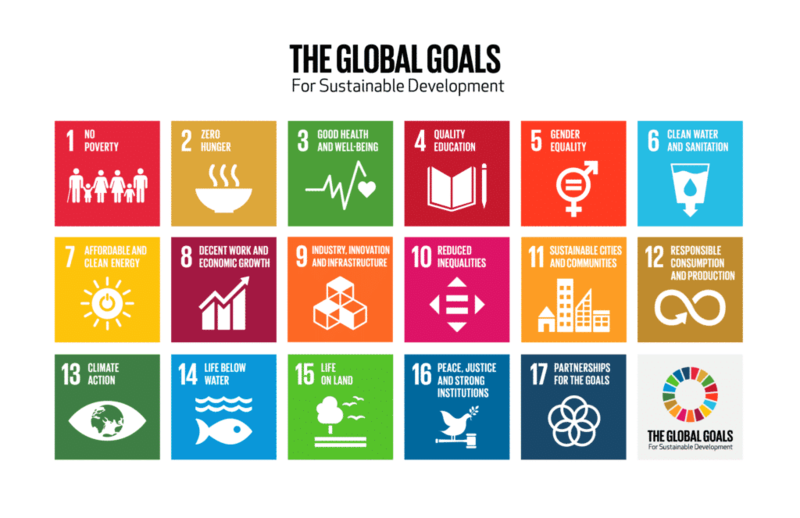 The 2030 Global Agenda for Sustainable Development and its 17 goals with over 230 indicators is perhaps the most bold and ambitious community project that can be enabled by GIS. This will require our best minds and strongest convictions to work together cooperatively to achieve these goals. My personal sense and our common conviction at Esri is that by working together, we can all apply our collective GIS work to achieve this incredibly remarkable and ambitious project. I am looking forward to attending the G-STIC 2018 Conference in Brussels on November 28-30 to present and take additional steps that will help us enable this exciting and critically vital global initiative.